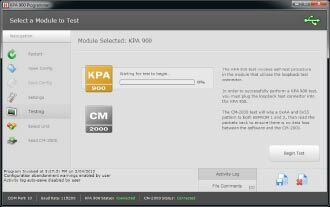 The KPA 900 Programmer software is designed to interface with the KPA 900 device. The software allows the user to create, save, and load configurations to be used for the ART 2000/2100 weather radar systems and the KRA 405B radar altimeter. This KPA 900 device and software was custom designed for one of our aerospace customers, and consistent with our open business model, they own the intellectual property and design. This customer frequently orders additional devices and software for their end customers.